The name Ballast Quay has been in existence at least since the 1660s and appears on the Samuel Travers map of the Royal Manor of Greenwich 1695. Doubtless its origins are even more ancient and the name derived from the ballasting of ships with gravel from local pits, a trade which was even then centuries old. This trade continued well into the 19th century, when collier ships, having discharged their cargoes from the coal pits of the north east, needed another cargo or ballast to stabilise them on their return voyage to their home port. The names of these Durham coalfields are perpetuated in the pub sign of The Pelton Arms and in surrounding street names such as Pelton Road and Whitworth, Braddyll and Caradoc Streets. 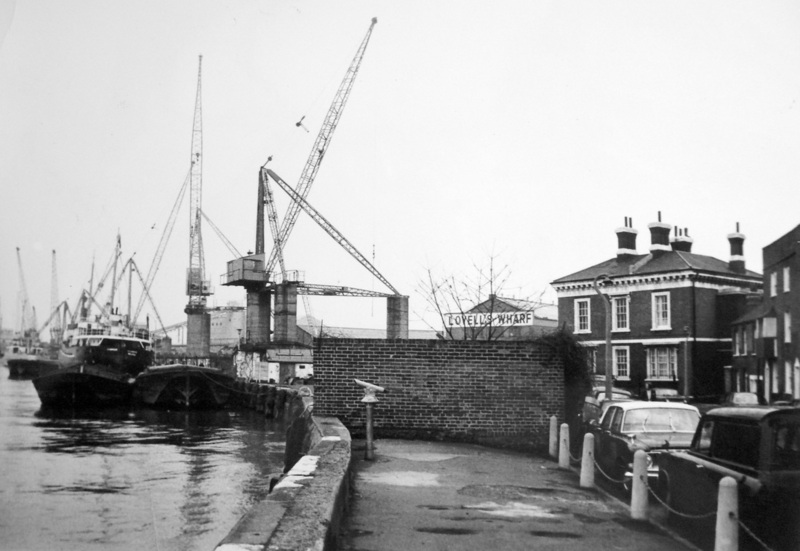 Ballast Quay stretches along the East Greenwich waterfront from Pelton Road to Crowley Wharf. In 1801 the name was changed to Union Wharf following The Act of Union (Ireland) Act of 1800. 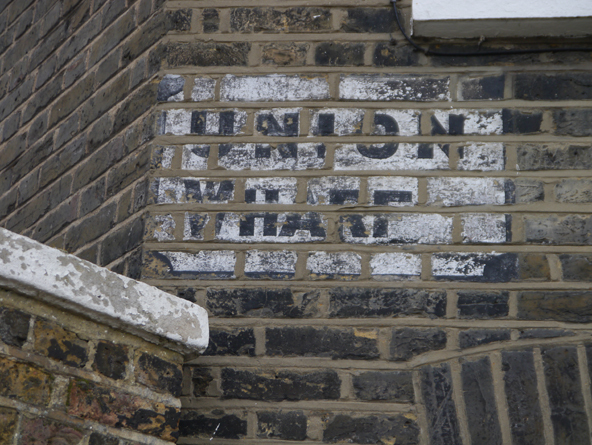 The street name Union Wharf can still be seen in fading lettering on the façade of No 19. According to old Ordnance Survey maps the name was Union Wharf until well into the 20th century, apart from 1867, when it is listed as Ballast Quay. The present name was finally re-adopted in the mid 20th century. 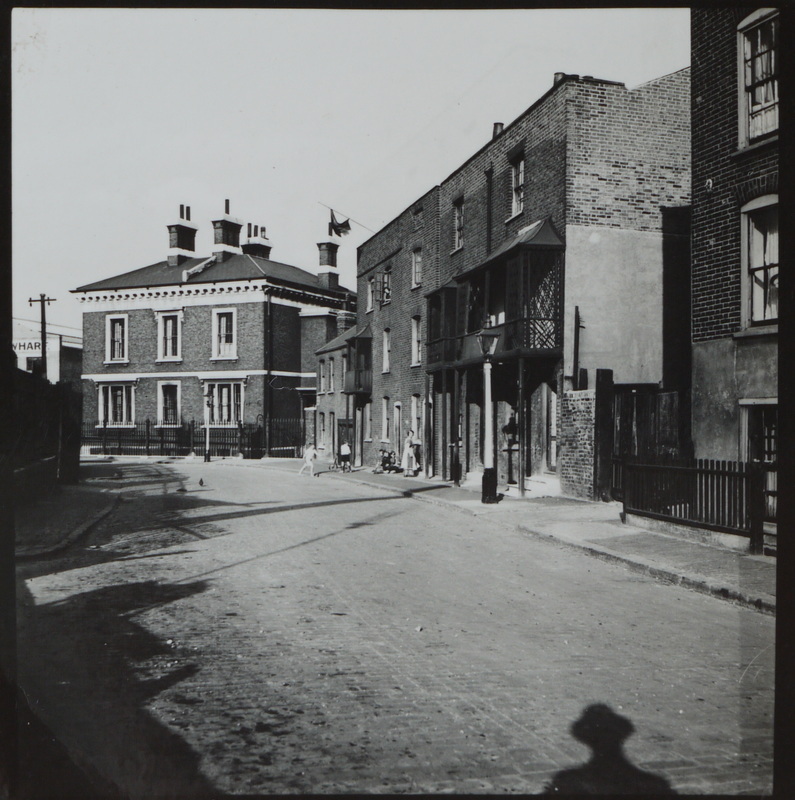 The houses date from between 1804 and 1869 and a few are still owned by the Blackheath based charity Morden College, whose 'Invicta' plaque can be seen on some of the houses. 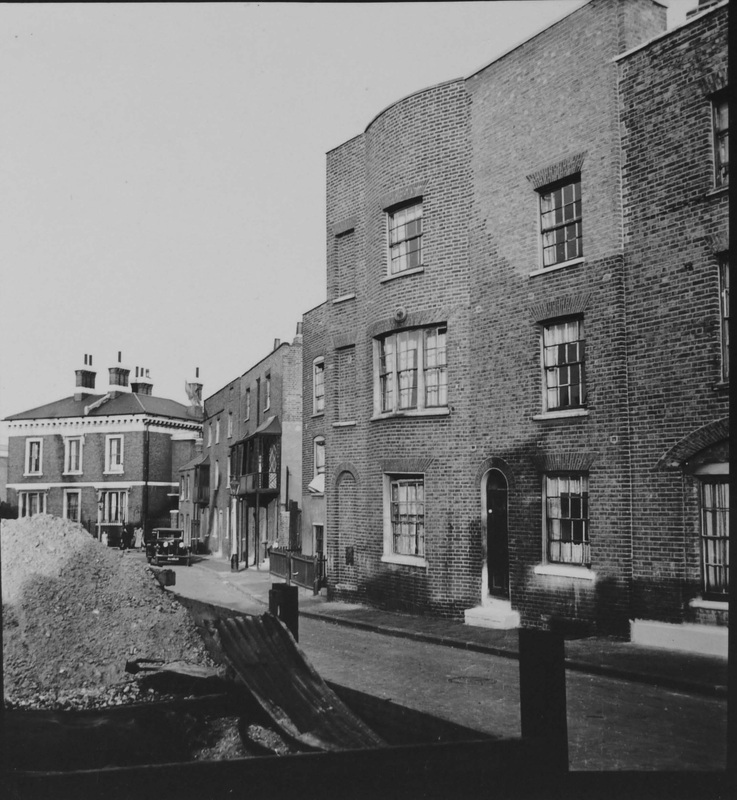 Morden College acquired the land in the late 17th century, leasing it to individual developers, who worked the wharves and built houses. in 2013 in the book Greenwich Revealed by Neil Rhind and Julian Watson. At the end of the terrace is the Harbour Master's Office dating from 1855. It is associated with the garden area on the riverside, which was once the Port of London wharf and was part of a mid-nineteenth century scheme for monitoring coal ships from North East England. In this part of the river, and down-stream, were 'collier stands' where the coal ships had to wait for a berth in the collier docks across the river or at special berths upriver. 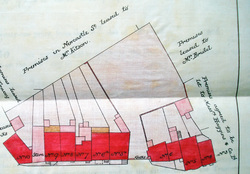 The delivery of coal to this area was of supreme importance - coal was the fuel which made industry function. The shipping which delivered it was a massive industry in itself. 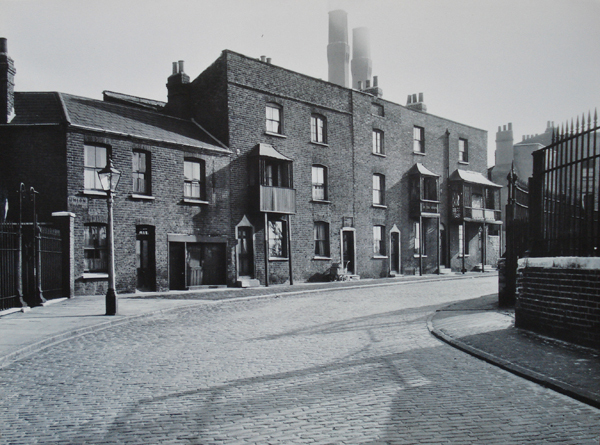 At the end of Ballast Quay the road joins with Pelton Road, in which, and in the adjacent streets, can be seen Victorian cottages built for local workers by the entrepreneur, William Coles Child and George Smith, architect and surveyor to Morden College in the 1840s. The photographer's shadow is in the foreground and an ingeniously improvised washing line graces the roof parapet of No.9 (modern No.16 Ballast Quay). The residents are curious as to why anyone would photograph their houses - they couldn't wait to be rehoused! 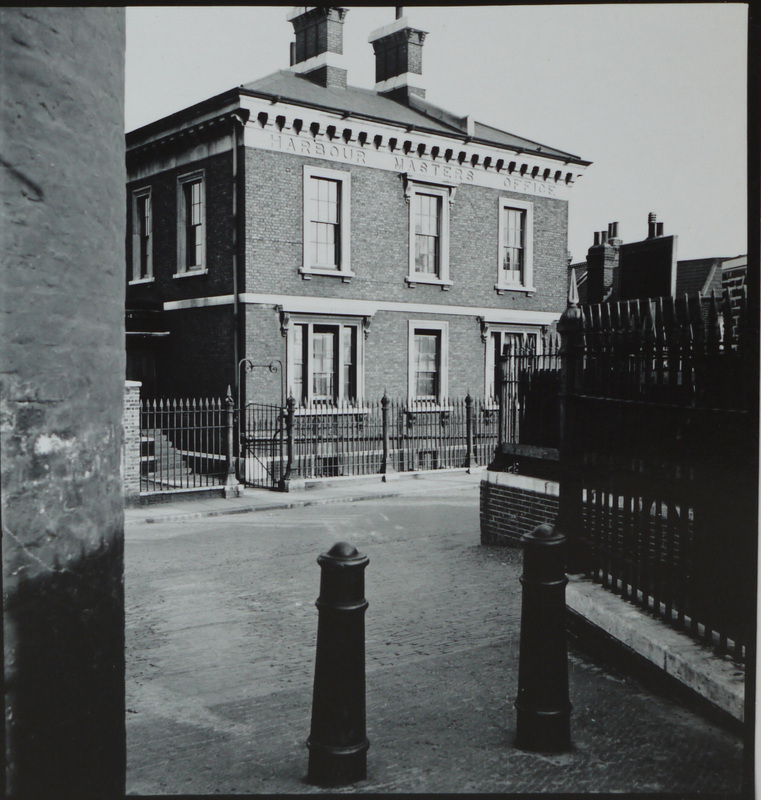 From contact print in Greenwich Heritage Centre. The unique railings in front of the building also surround the wharf. The view is from the corner of Lovell's Wharf and the start of the riverside footpath. The double-width balcony which adorned the front of No.5a (now 12 Ballast Quay) is still intact. It was later demolished by a passing scrap metal lorry and never replaced. 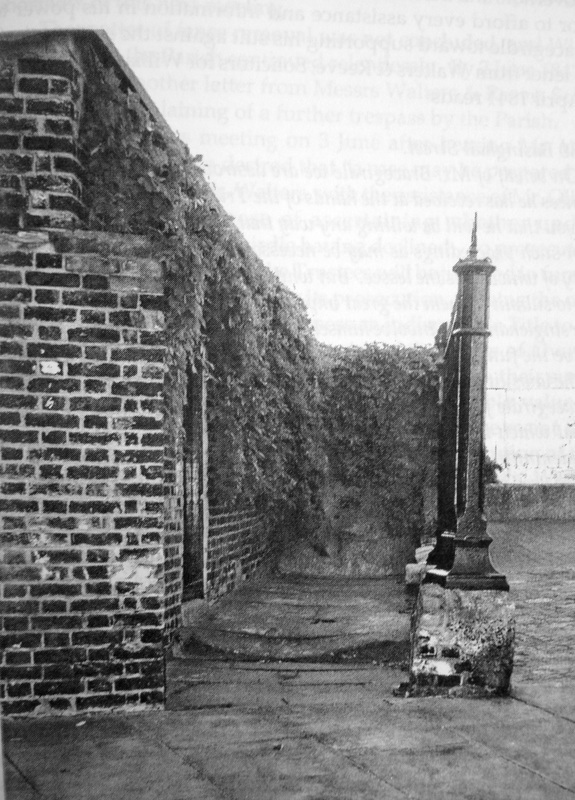 Directly opposite the Harbour Master's Office a well-worn path leads to what was once the entrance to the office for the East Greenwich Steamboat Pier. This building, affectionately know as The Shed, forms part of the Ballast Quay garden. The house numbering is idiosyncratic, but interestingly shows a property always previously marked on Morden College leases as a ‘store’ between No.9 and No.10, which is today incorporated as a living space within the property 16-18 Ballast Quay. The gated gap between the two terraces, often thought to be the result of war damage, has in fact come and gone throughout the ages. 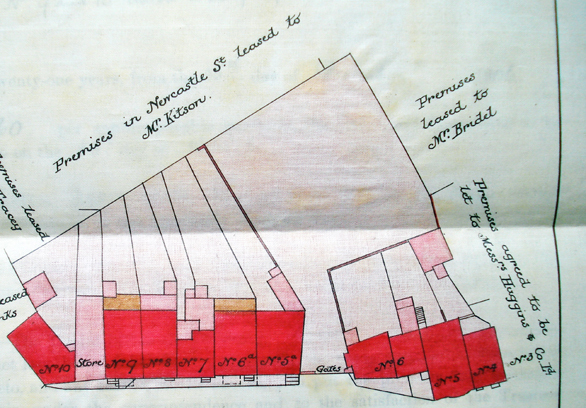 On the Ordnance Survey map of 1867 the gap is filled by a substantial building, which by the publication of the 1894 map had disappeared; this may account for the mysterious missing No.11 in the current street numbering. 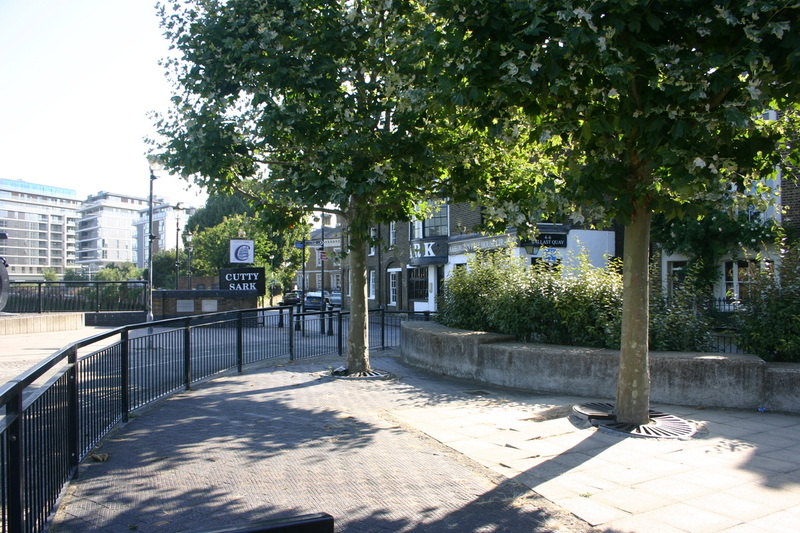 The quayside has become an extension of the Cutty Sark Tavern with benches and small brick built tables and concrete bollards and an iron chain separating it from the busy road. A spot for a pint in the sun against a backdrop of industrial activity. 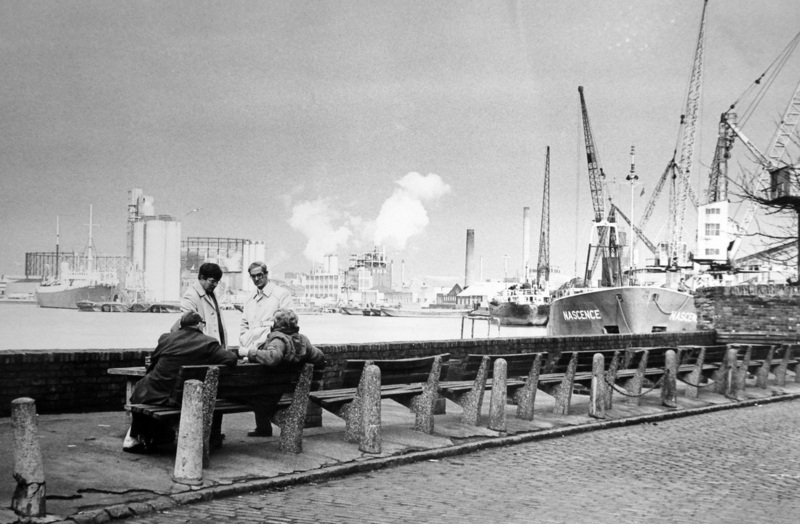 The Ballast Quay tea garden in its heyday in the 1980s. Local ladies baked cakes and served teas and it became a destination for riverside walkers, still remembered with affection to this day. In the picture is the late Warwick Leadlay, whose antiquarian print business still flourishes in central Greenwich. 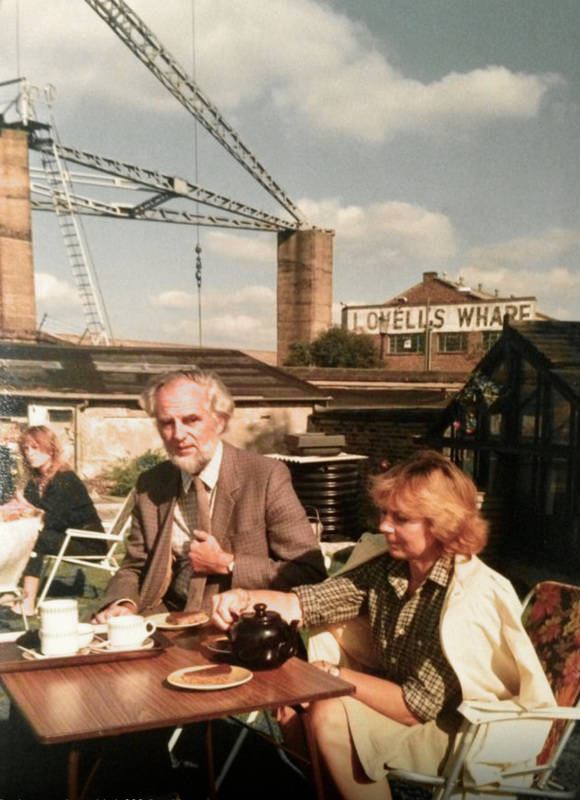 In the background is the artist Annette Johnson who then lived at No.3 Ballast Quay. The terrace of Nos. 5a to 10 (right to left). The building between 9 and 10 was a store. 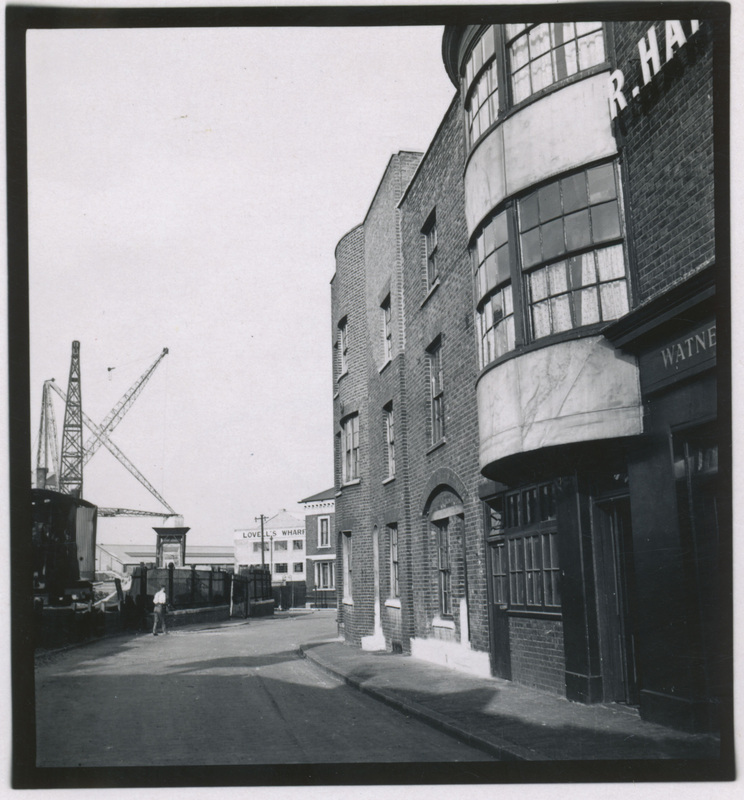 Before the quay became an extension of the Cutty Sark Tavern. The chain and concrete bollards are in place, but no benches or tables. Note the telescope thoughtfully positioned, presumably by Greenwich Council, for viewing passing river traffic. 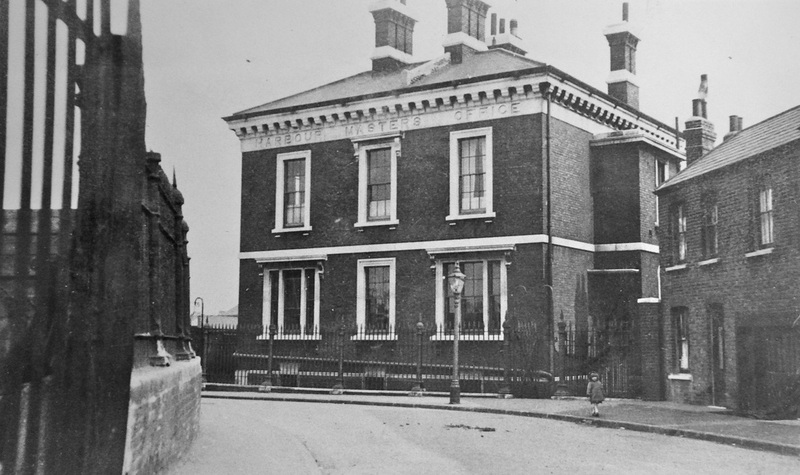 Built in 1855 on the site of Thames Cottage, the Harbour Master’s Office today reminds us that this part of East Greenwich was once an important centre of industry and shipping on the Thames. 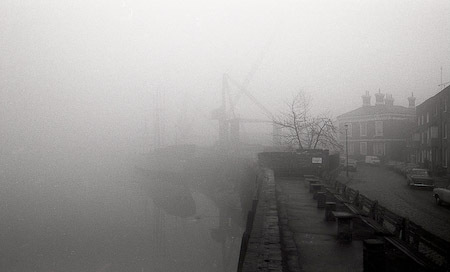 The Harbour Master controlled the movement of colliers bringing in coal supplies from the coalfields of the North East, which fuelled the local industry. After disgorging their cargoes they would be loaded with ballast from the chalk and gravel pits on Blackheath and Maze Hill for the return journey.